Construction is complete! The new state-of-the-art Holocaust Memorial Plaza opened to the public on October 22, 2018. Watch our video to learn more! People forget how bad hatred is. It can become a habit. I was imprisoned in Auschwitz. For a long time I didn’t want to talk about my experiences, but now I understand that I must. We need to fight hate. This is what I would leave as my legacy: to remember that hate is a terrible thing. We are close to reaching our capital campaign goal and are grateful for your support. We are now launching an endowment campaign to care for the long-term maintenance and educational programs of the site. Support this transformative, educational public space by making a gift today. The new Holocaust Memorial Plaza opened to the public on October 22, 2018. 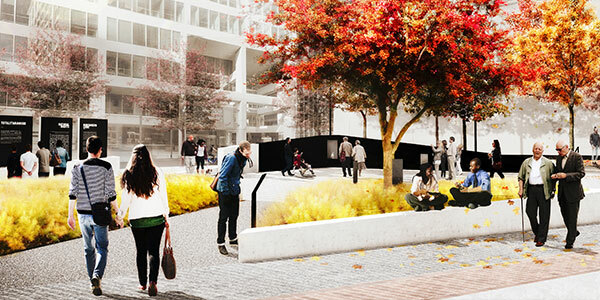 Visitors to the Plaza will experience a dynamic civic space for remembrance and education. The Plaza’s new unique design includes several interpretive features that create a singular place of learning and remembrance. The Philadelphia Holocaust Remembrance Foundation seeks to educate people on the atrocities of the past, while working toward a future of tolerance and enlightenment. GIVE NOW and be recognized at the Memorial Plaza! 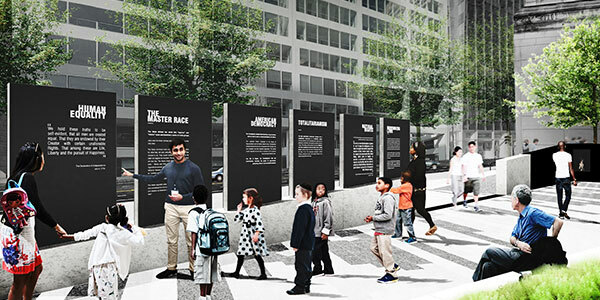 In response to the outpouring of support and interest, we’ve added more opportunities for donor recognition onsite at the new Horwitz-Wasserman Holocaust Memorial Plaza! From brick and granite pavers ($2,500 and $5,000 donors), to a new naming area on the Wall of Remembrance ($10,000+ donors), or other major donor opportunities ($150,000 and up), we are offering exciting naming opportunities for everyone. Donors can choose to engrave their own names, or choose to honor or memorialize a loved one. Pledges must be made by May 1st in order to be included in the summer installation and engraving! By pledging your support, you leave a lasting legacy and further our mission to educate people on the atrocities of the past. 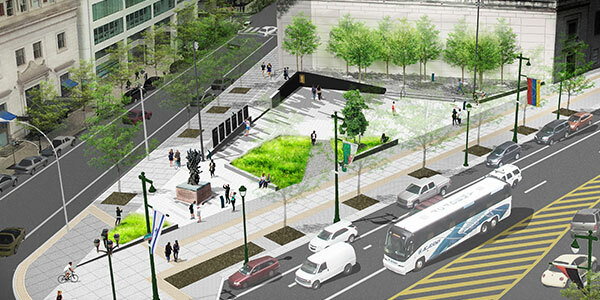 For more information, please contact Eszter Kutas, Director, at ekutas@philaholocaustmemorial.org or (215) 809-2474.